We manage some of the region’s most precious wild places, boasting magnificent coastline, islands, rugged mountains, ancient woodland, the heritage-rich ex-coalmining valleys and the richest agricultural land. 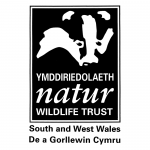 WTSWW covers an area of 7,888km2 (Ceredigion, Pembrokeshire, Carmarthenshire and the old County of Glamorgan – total population 1,700,000), including around half of Wales’s coastline. We manage nearly 90 nature reserves covering 1,620 hectares and have 34 staff, 800 volunteers and 8,000 members. We are a registered charity limited by guarantee, led by voluntary Trustees supported by executive staff.